Tynies There are 2 products. 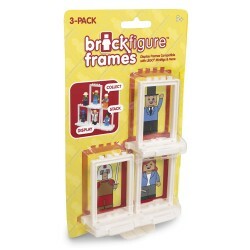 Item: 20003 Ages: 5+ yearsThis pack includes three display frames compatible with LEGO, Banbao, Mega Bloks and other LEGO-style figures. 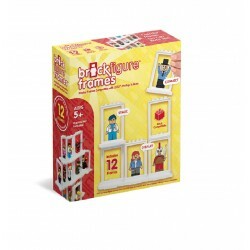 Item: 20012 Ages: 5+ yearsThis pack includes twelve (12) display frames compatible with LEGO, Banbao, Mega Bloks and other LEGO-style figures.